All of our success starts on our farm. 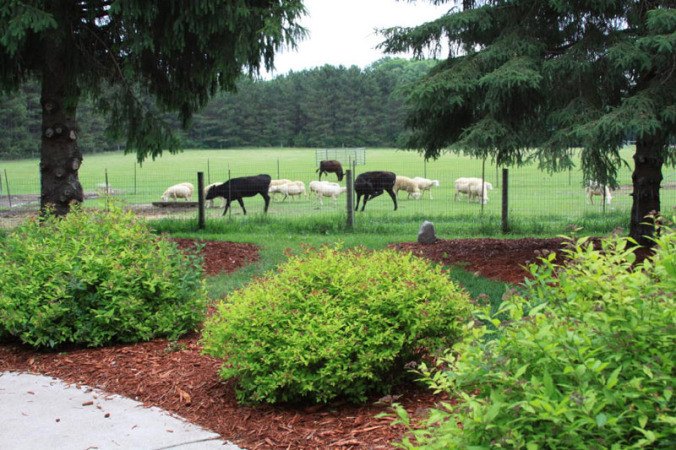 Nestled in the rolling meadows of central Minnesota, our farm has wide open spaces for our dogs to play and run, and fenced in areas designated for training. We also keep a small flock of St. Croix sheep along with several ducks and heifers to aid in training. As full-time breeders, we understand the importance of utilizing and providing proven training methods, quality feed, and clean spacious facilities. All of our puppies are raised and socialized in our home. Mothers and puppies have their own private room and whelping area. At four weeks of age our puppies move to a special puppy room, where they have a safe, clean area to play. Here they receive lots of human interaction and further socialization. 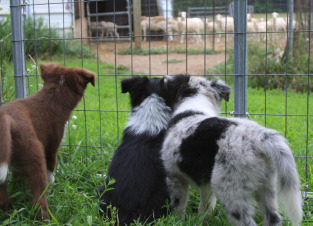 Our farm has specialized areas for training, play, and working livestock, including a huge, fenced outdoor play area where the puppies can watch the sheep and cattle from a safe distance. In addition to our expansive training and play areas for puppies, Rising Sun Farm also features dedicated rooms for our Bengal cats and kittens. Contact us today for more information about any of our animals, our breeding programs, or purchasing information !